At Nashville Dental Center, your smile is our top priority. 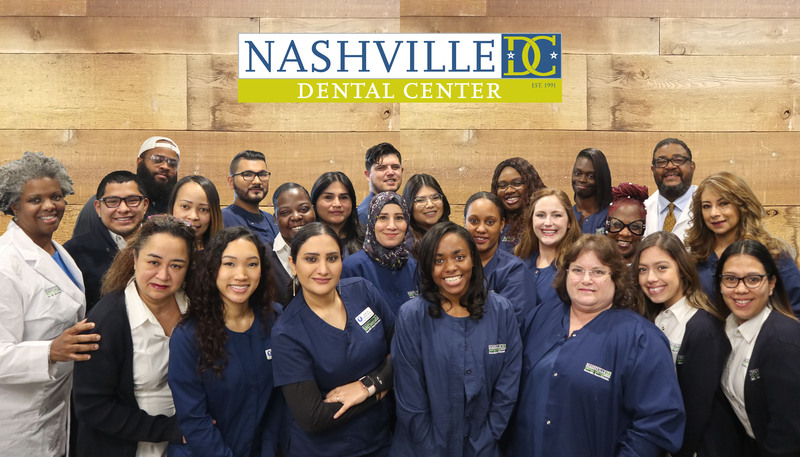 Our entire team is dedicated to earn the title of Best Nashville Dentists by providing you with the personalized, gentle care that you deserve.. Part of our commitment is to help our community have healthy, comfortable and younger smiles. We look to establish lasting relationships with each and every one of our patients, based on mutual trust and open communication. This website is a resource we hope you'll find both useful and interesting. I had not had a good experience with the dentist that prepared my lower dentures. I was ask to visit Dr Huey at Nashville Dental. I am extremely pleased with the caring service and compassion that was given by Dr Huey and his staff! It was a difference between night and day! I am now extremely happy with my lower dentures and can't wait for them to get started on the upper. I have a smile that I am not ashamed of! I highly recommend Nashville Dental to anyone who is in need of dental care. There is a difference between dental work and dental work done with pride, care and love. Thank you Dr Huey!!! Best Dental experience I have ever had! Everyone is super professional, friendly and nice. All the latest equipment is in place and they treat everything right there. Amazing ! I highly recomend because we are always seen before our appointment time and the staff is friendly and knowledgeable. Highly recommend Nashville DC. From the moment I called and spoke to Maribel, who was very professional. I was able to get an appointment for teeth cleaning. The hygienist did a fabulous job, and she was quick too. I have never received before and after pictures for teeth cleaning! Thank the entire professional staff for making my first visit an awesome experience. Lastly, when you walk in, state of the art layout. I enjoyed the waiting areas, especially the small waiting area with the TV on the wall, I enjoyed the magazines and friendly environment! I will be visiting Nashville DC again. Did a wonderful job on my teeth. Great work! My experience has always been very professional and comfortable. The staff is kind, helpful and professional. Dr. pat is an exceptional dentist. I have been to many in my 88 years, and I can say for certain my experience with her has been exceptional. Thank you to everyone at NDC for great service. May God bless each of you.